Re: Do you smell what I'm cooking? What y'all think? Good score. He does actually sign Rock, at least he did as of this summer when I got him IP. 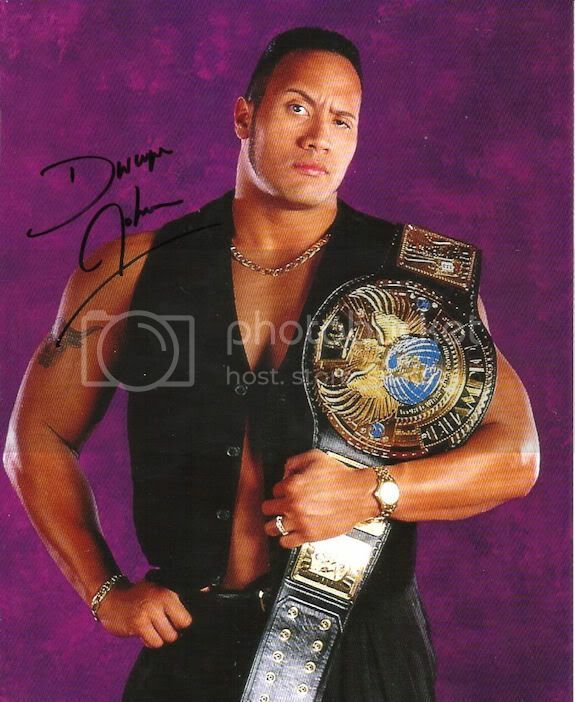 Oh really.. Well, I did some research about the "Dwayne Johnson" signature and found him signing this piece IP. I'm 99 percent sure I got the real deal. Sent to the G.I. Joe 2 set. They wrapped the film up on Nov. 12. It got here today (Nov. 14). Makes plenty of sense for him to do a mail cleanout at the end.